There is a rising concern about sustainable building materials as the world population continues to expand. One innovative solution has been the use of hempcrete; a mixture of limestone, sand, and hemp. It was discovered in a bridge abutment in France that dates back to the 6th century. Some in Europe have adopted the use of hempcrete since that rediscovery, and now the trend is starting to gain traction in North America. According to the U.S. Green Building Council, buildings account for 38% of the CO2 emission in America. One huge benefit of using hempcrete is that the hemp will absorb CO2 and release oxygen during its growth, as well as absorbing more CO2 due to the limestone and slowly petrifying. Over decades, its widespread use could have a fairly significant impact. 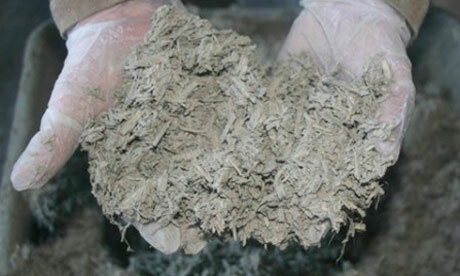 The material itself is a bio-composite made of the inner core of hemp plants mixed with a lime-based binder. The hemp’s woody, inner core has a very high silica content that allows it to mesh well with the lime. The biggest drawback to using hempcrete is that the density is only 15% that of traditional concrete, and this means that the hempcrete must be used in combination with a frame of another material that can support the vertical load in the building construction. Hempcrete has a very high measurement of fire resistance, or R value, when compared to other construction materials. Hempcrete has a R Value of 2.08 per inch of thickness compared to regular concrete which has around .08 per inch of thickness. There aren’t any other construction materials that have such a high R Value while costing so little to produce. The hempcrete has a number of different applications_ from wall construction, flooring, to roof insulation. The material is fireproof, waterproof, acts a good insulator, does not rot when used above ground, and is 100% recyclable. Any mess made from construction or demolition of hempcrete walls can be used as a fertilizer. This is all in addition to the fact that it regulates moisture and naturally breathes so there is no mold, dry rot, or other moisture related problems that often emerge during construction business. This would also mean that less energy will be used after construction in the form of air conditioning and heating, since the thermal resistance keeps the temperature much more consistent inside the structure. 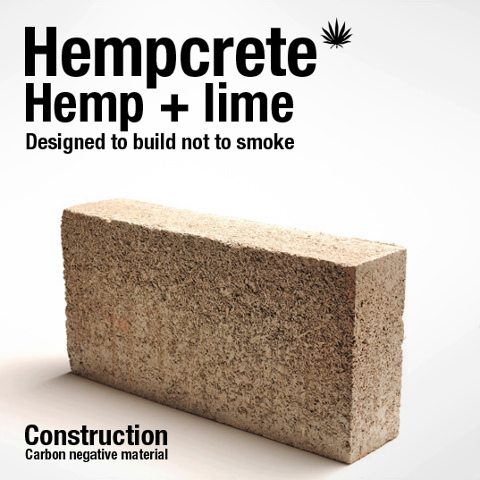 The reason for this product being used mainly in Europe is due to the restrictive laws that prohibit the hemp used to manufacture hempcrete from being grown in the U.S. Because of this, the price to import hempcrete is too costly for efficient use in the U.S. but hopefully the tide is turning in regards to hemp legalization.
? The Deep Web | Digging Deeper Berlin Is Inspiring The Next Revolution! ?